Middle East Perspectives by Rick Francona: Release a traitor in exchange for a settlement freeze? Release a traitor in exchange for a settlement freeze? I am going to start this with one of my favorite observations: You cannot make this stuff up. In the latest international episode of Let's Make a Deal, Israeli Prime Minister Benjamin Netanyahu offered to extend a moratorium on the construction and expansion of Jewish settlements on the West Bank in exchange for the release of confessed and convicted spy Jonathan Pollard. This is the very definition of chutzpah. In the first face-to-face talks between the Israelis and Palestinians in two years, Netanyahu attempts to extort the United States into releasing one of the most notorious spies in American history in return for what would undoubtedly be a temporary halt to settlement activity in the Israeli occupied West Bank of the Jordan River? Shameful. The Obama Administration should not even grace this offer with a response for a variety of reasons, not the least of which would be the uproar it would generate throughout the defense and intelligence communities. 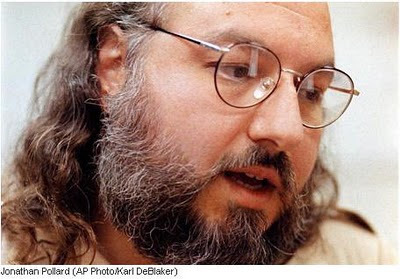 Pollard may be regarded as a national hero in Israel, but to most American military and intelligence officials, he is traitor who sold out his country with little regard for the long-term consequences of his actions. The full extent of the damage done by Pollard's treachery has never been made public. Much of it may still be unknown since the only source of what Pollard gave to his Israeli handlers is Pollard himself. Many apologists for Pollard claim that spying for Israel is not really spying since Israel is an ally of the United States. One has to consider that blanket statement that Israel is an ally of the United States with some reticence. Israel used the information provided by Pollard as "trade material" with the Russians in return for the release of Jews detained in Russia. That is hardly the action of an ally. There is speculation that American agents, people the U.S. intelligence agencies had recruited to collect information for us a great risk, were uncovered and executed because of the information the Israelis provided to the Russians. If so, Pollard should have been executed instead of being sentenced to "life" in prison. Pollard's sentence of life imprisonment is a misnomer. Because of the laws in existence at the time of his sentencing, he will be paroled after serving 30 years. That means he will be free on November 21, 2015, unless he is pardoned by the new president in 2013. No doubt that when he is released, Pollard will immediately move to Israel where he will be welcomed with open arms. Requests for Pollard's release are nothing new. (See my 2008 piece, Israelis ask for release of Jonathan Pollard - again.) Since finally admitting that Pollard was a sanctioned, recruited asset for Israeli intelligence, they have mounted a steady campaign for his release. If the Israeli government does not do so directly, it orchestrates a bevy of right-wing organizations to mount publicity campaigns hoping that someday these efforts will pay off. According to comments on Internet forums by former inmates, if you have to be in prison, Butner is the place to be. It is described as having a good Federal Prison Industries program, in case Pollard wants to build office furniture when he relocates to Tel Aviv. The prison is also non-smoking, so we don't have to worry about Jonathan being subjected to the dangers of second-hand smoke, although that might be a problem when he moves to Israel. Seriously, though, the Israelis do him no favors by continually asking for his release. Every time they bring this up, it only reminds Americans of Pollard's treachery and betrayal of this country. It only strengthens Americans' resolve to keep him behind bars as long as legally possible.